DUO SET FOR ARRAY OF FESTIVAL APPEARANCES INCLUDING HANGOUT MUSIC FEST, BONNAROO, LOLLAPALOOZA, OUTSIDE LANDS & MORE! Fueled By Ramen duo, twenty one pilots, have announced plans to join Fall Out Boy on their upcoming “Save Rock & Roll” fall arena tour. The epic trek – which features main support from Panic! At The Disco – kicks of September 5th at Mohegan Sun in Uncasville, CT and eventually wraps up on September 29th at the University of South Florida’s Sun Dome (see attached itinerary). 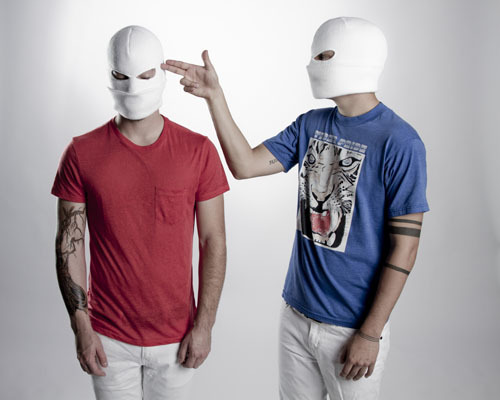 Furthermore, twenty one pilots – that is, Tyler Joseph and Josh Dun – plan to steal the show at an array of upcoming festivals, including the 4th annual Hangout Music Festival, Bonnaroo 2013, Lollapalooza, Outside Lands and more! For more details and ticket information, please see http://twentyonepilots.com/tour. For more information, please visit www.twentyonepilots.com, www.facebook.com/twentyonepilots, www.twitter.com/twentyonepilots, and www.youtube.com/user/twentyonepilots.